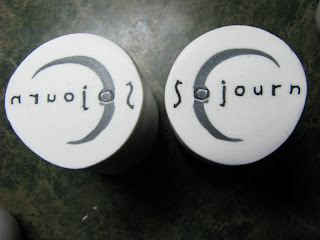 In February, I attended the premiere Sojourn Retreat in Nanaimo. I was proud to be involved with the organization of this retreat by our beloved VIPCG. With Gera as our fearless leader, the retreat went off without a hitch (not counting the fire alarm going off on the first night!). It was nice to spend a weekend with a group of wonderful and creative ladies from both our guild and the Vancouver PC Guild. To be honest, I spent more time socializing than claying. I really enjoyed my classes and seeing the diversity of how others 'clay'. I had fun with the workshops I gave. I hope my 'students' came out of there with less fear of trying canework. I'm so looking forward to the next retreat....do you hear me, VPCG?